Key difference: Continental Food refers to the cuisines which derive a large influence from European regions. 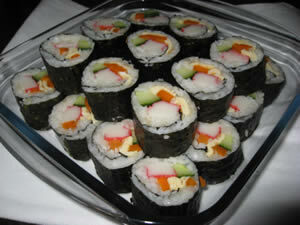 Oriental Food is cuisine designed by the Asian cooking style. Continental food refers to the kind of food eaten in European countries. Although, both cuisines consist of meat, there are certain characteristics which help differentiate between the two food cultures. According to Wikipedia, Continental cuisine is a universal term, referring to the cuisines of Europe and other Western countries including non-indigenous cuisines of Australasia, Latin America, North America, which derive substantial influence from European settlers in those regions. It is a term used by East Asians to contrast with the Asian style of cooking. Meat is more prominent and substantial in serving-size. Steak is a common dish across the countries. Slight emphasis is put on sauces as condiments or seasoning. Dairy products are also used in cooking. Wheat flour bread is a common source of starch; potatoes have also been gaining popularity in terms of a starch plant since American colonization. Cornmeal is a major part of cuisine in Italy and the Balkans. According to Wikipedia, Asian cuisine styles can be broken down into several tiny regional styles that have roots of the peoples and cultures of those regions. The major types roughly can be defined as: East Asian with its origins in Imperial China and encircling modern Japan and the Korean peninsula; Southeast Asian which encompasses Cambodia, Thailand, Vietnam, Indonesia, Malaysia, Singapore, and the Philippines; South Asian countries that are made up of India, Burma, Sri Lanka, Bangladesh and Pakistan as well as several other countries in this region of the continent. The term Asian cuisine is used to address the eating aspects that offer a varitey of Asian dishes without rigid cuisine boundaries; such as selling satay, gyoza or lumpia for an appetizer, rojak or gado-gado for salad, offering chicken teriyaki or beef rendang as the main course, tom yam and laksa as soup, and cendol or ogura ice for dessert. In modern fusion cuisine, the term Asian cuisine might refer to the culinary exploration of cross-cultural Asian cuisine traditions. 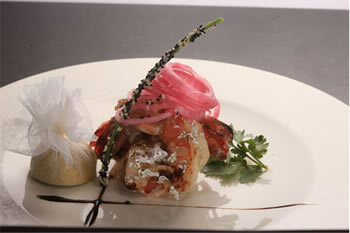 Few examples, the combination of Vietnamese and Japanese cuisine or Indonesian and Chinese cuisine. A synonym for Asian style cuisines. A term used for Europe and Western countries. Cooking derived from European regions. Spices are used in large amounts. Small amount of spices are used. Rice and noodles are used. Meat and steaks are more prominent. Are used as a part of the dish. Are used as seasoning or condiments.